The Dingaal Aboriginal people – Traditional Owners of Lizard Island, Jiigurru – have lived in this area for tens of thousands of years. Regarded as a sacred place and rich in cultural meaning for the Dingaal Aboriginal people, Lizard Island contains sacred sites including intitation, ceremonial and story sites. Lizard Island was declared a National Park in 1937, with the surrounding waters later declared a Marine Park in 1974. 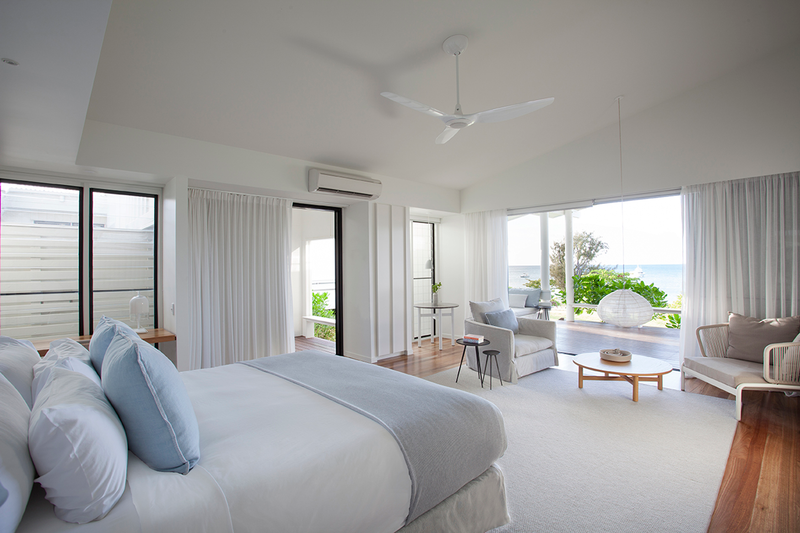 The entire resort was rebuilt in 2015 and the interiors were designed by Melbourne based Hecker Guthrie. With only one resort on the island hosting 40 rooms – it is the tranquillity and natural beauty of the island that will first greet you. 24 pristine powdery-white private beaches, literally means you can have a beach to yourself. 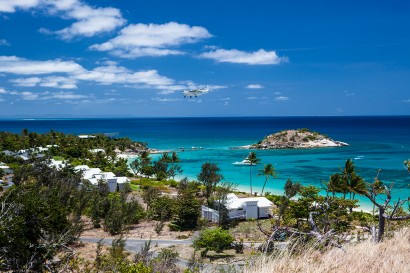 Lizard Island, Australia’s northernmost island resort on the Great Barrier Reef, is secluded from the rest of the world and is accessible by a scenic one hour flight over the reef from Cairns. Snorkel straight off the beach where clam gardens, coral and marine life are abundant. Dive on the inner and outer Great Barrier reef to some of the world’s most famous dive sites, including Cod Hole. 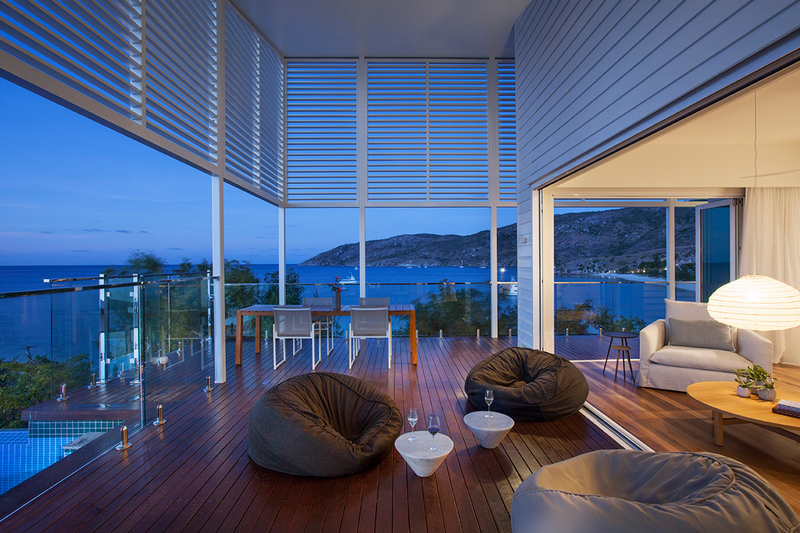 Hike to Lizard Island’s highest peak ‘Cooks Look’, and take in the spectacular views or relax and indulge in the luxurious Essentia Day Spa. 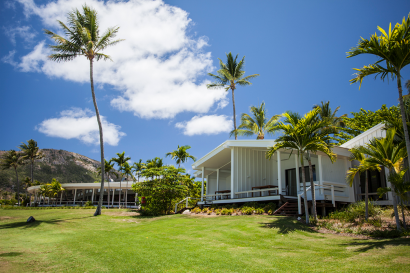 Lizard Island also has a research Station, operated by the Australian Museum, it is a coral research facility, attracting researchers from around the world each year. Tours are run twice weekly for guests or upon request, charges apply. Lizard Island’s highest peak, Cooks Look was named after Captain Cooks discovery in 1770, which he climbed in oder to chart a course out of the surrounding maze of reefs. Lizard Island gained its name from Captain Cook in 1770, because the only land animal he saw during his visit were Lizards and there were plenty of them Parts of the 2008 film, ‘Fool’s Gold’ were filmed at Lizard Island. Children under the age of 10 are not catered for on Lizard Island. 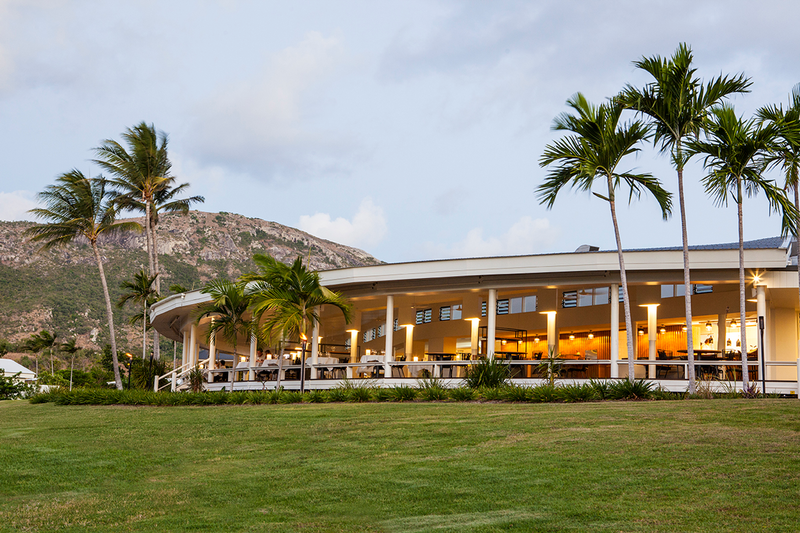 Lizard Island welcomes children aged 6 years and over during ‘Family Time’ periods only. 1 x The Villa – Features 2 bedrooms, both with ensuites, a large lounge area, butlers kitchen and private plunge pool and sits atop a ridge with uninterrupted views across Sunset Beach and the Coral Sea. Daily sunset champagne and canapes are served in the room. Private in-room dining also available, charges apply. 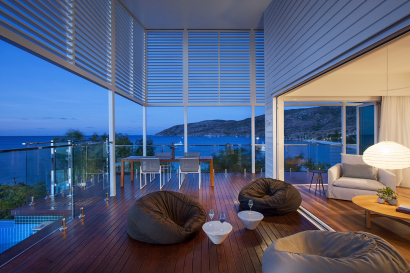 1 x The Pavilion – Features one bedroom, an oversized bathroom and a large lounge which opens onto the expansive deck, offering the perfect inside-out ambience. The Pavilion combines complete privacy with a spectacular 270-degree panorama of Anchor Bay, Osprey Island and Sunset Beach and boasts a private plunge pool and secluded gazebo perfectly positioned to take in the views. Daily sunset champagne and canapes are served in the room. 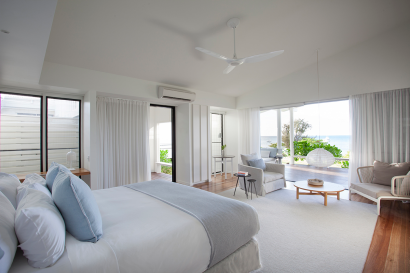 18 x Beachfront Suites – set in a broad sweeping arc of Anchor Bay, with captivating sea views and each has a pathway leading directly to the beach. The large verandah with its daybed is the perfect place to take in the natural beauty of Lizard Island. 6 x Oceanview Plunge Pool Villas – set high on Sunset Bay with easy access to a string of secluded beaches, these villas offer views of lush island greenery, calm sea waters and white sandy beaches. 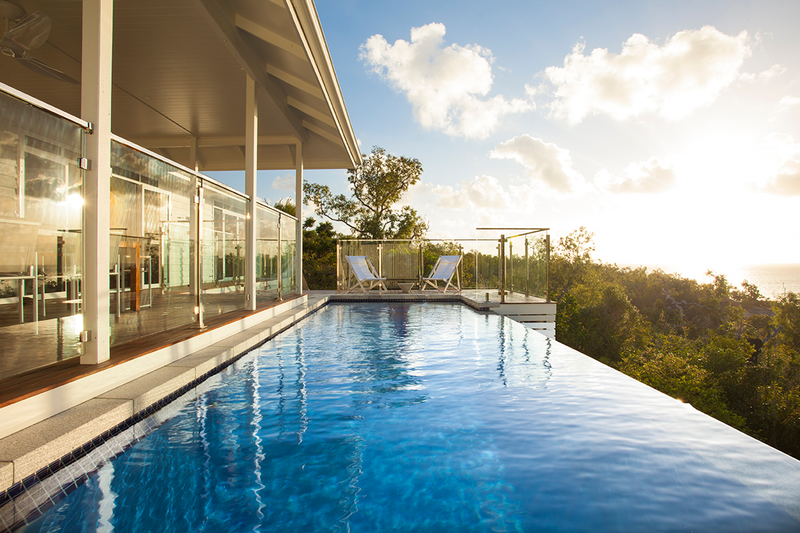 Relax and unwind in the luxury of a private plunge pool whilst taking in the amazing sunset. 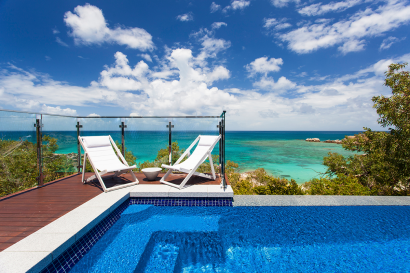 8 x Oceanview Villas – these villas are set high on Sunset Bay amongst the Plunge Pool Villas with sea views over Anchor Bay or Sunset Beach. 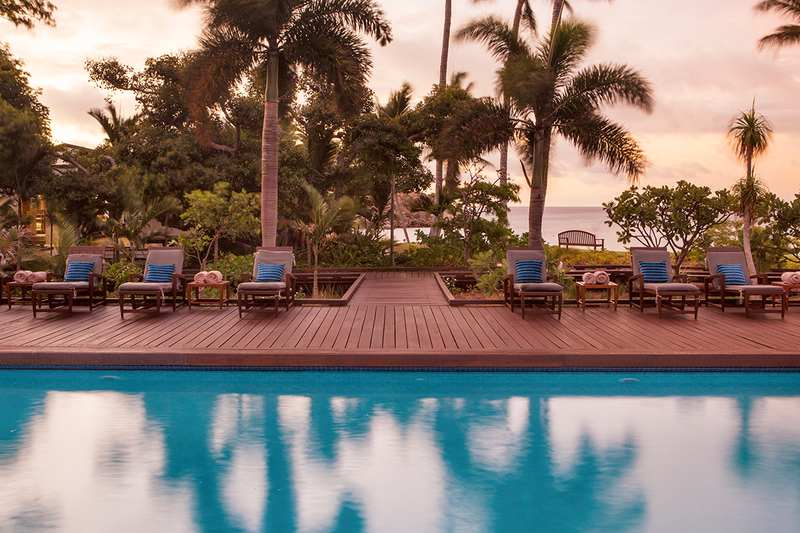 Enjoy the views of lush island greenery, calm sea waters and white sandy beaches. 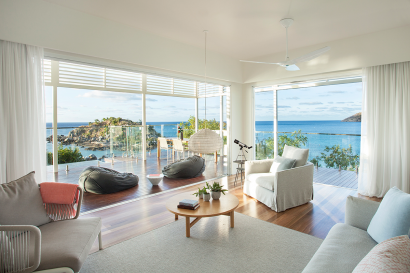 2 x Gardenview Suites – perfectly located for ease of access to Anchor Bay, these suites are designed to ensure a relaxing stay with some sea views whilst being immersed in lush tropic surroundings. Ideal for families with a sofa bed located in the living room. 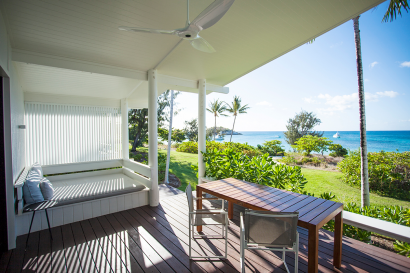 4 x Gardenview Rooms – perfectly located for ease of access to Anchor Bay, these rooms are designed to ensure a relaxing stay with some sea views whilst being immersed in lush tropic surroundings. 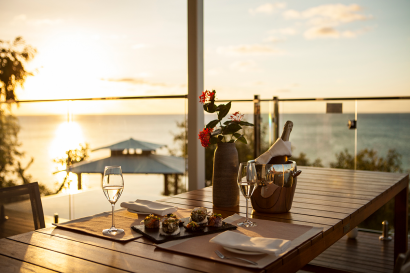 • Nightly rate includes : gourmet meals, non-alcoholic beverages, a fine selection of wine, beer, basic spirits and Champagne, in-room mini bar as well as deluxe picnic hampers for private beach outings. • Saltwater Restaurant – Simple and relaxed, it is the idyllic setting to take full advantage of the views along Anchor Bay. 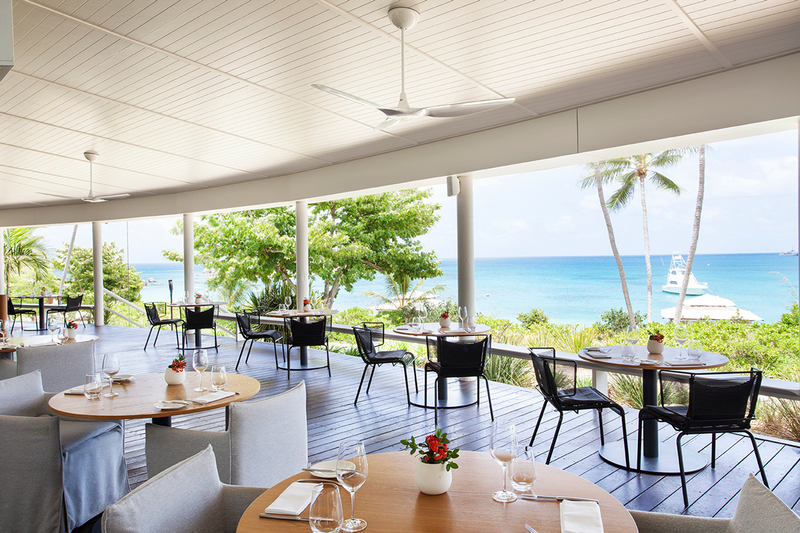 With an emphasis on fresh and superb local produce, the daily changing menus draw on the flavours of modern Australian cuisine, combining a multicultural mix of Australian, Mediterranean and Asian flavours.